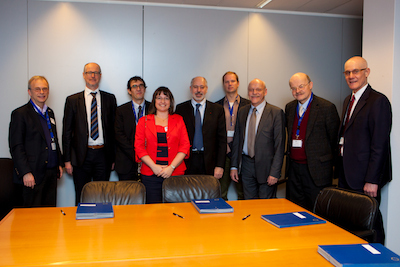 NERIS has signed on October 5, 2015 a collaborative research arrangement with ISPRA in order to identify and develop new approaches in the areas of Nuclear/Radiological Emergency Preparedness Response and Recovery, thus working to the mutual benefit of both organisations in the achievement of their objectives. A new version of the NERIS Strategic Research Agenda is available. A consultation process is now engaged. In order to prepare a strategic vision of radiation protection research in Europe with other Platforms (MELODI, ALLIANCE, EURADOS), we need to select a list of high priorities and also to rank these priorities. As member of the NERIS Platform you are invited to consult the document and fill the grid to select research priorities. The grid contains two columns: the first column allows ranking the priorities of the SRA with three to five priorities and the second column allows selecting the priorities in terms of synergetic issues with the other platforms for the second OPERRA Call.